Stampin' Up! UK Demonstrator - Teri Pocock: Stampin' Up! - Colour Refresh! 10 of our existing colours will be discontinued and we will have 10 'new' colours in their place. 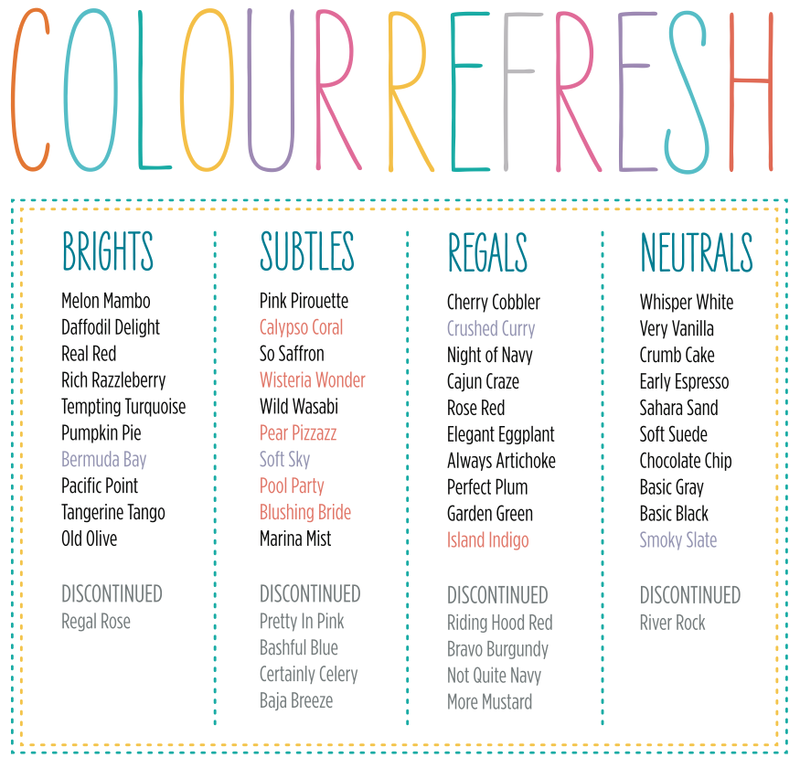 You can see on the above chart how the Four Colour Collections will look on July 1st. Please Note that the discontinued colours will only be available from now while stocks last! So if some of your favourites are listed there, NOW is the time to stock up on these!